Motor vehicle engineers across the world have to make the decision on vehicle status following an accident or incident, can the vehicle be repaired, should it be sold as repairable salvage, or dealt with as junk/scrap and taken out of use? Most cases are reasonably clear cut and easy to make, however there are a significant number of decisions made daily that could be challenged. The overriding factor in any engineering decision should be the safe future repair of the vehicle; can the vehicle be repaired to such a standard that in the event of another incident the occupants will experience a similar level of protection that they would have found if the vehicle was new? Engineers need to look at could or should the vehicle be repaired? Should is fairly easy, an extensively damaged vehicle involved in a fatal accident probably should not be repaired, likewise a vehicle with serious flood water damage, high enough, for example, to soak the airbags. Could the vehicle be repaired is a more subjective argument, this is where a knowledge of vehicle repair techniques and standards come in, and this is becoming more important as vehicle manufacturers explore more ways of increasing vehicle strength whilst making vehicles as light as possible. High strength steels, aluminium, carbon fibre, laser welding on production lines, and much more – all making repair in local shops much more difficult without extensive knowledge and expensive equipment and increased cost. Training and accreditation for vehicle assessors is highly recommended, and there are many in place throughout the world. In the UK Automotive Technician Accreditation (ATA) sets the standard for body repair technicians, estimators and insurance assessors, I-CAR in the US follows similar principles and standards. A main area of focus for all of these programmes is establishing the correct method of repair for any accident damaged vehicle, making sure that the repairs can be completed to the highest standards possible, standards that will protect any future owners and occupants of the vehicle if it is involved in another accident. Any engineer signing vehicle disposal paperwork must be certain that the vehicle they are signing off can be repaired safely, because if it isn’t and the worst case scenario occurs, then that engineer could be held liable for the injuries sustained. If the engineer feels that the vehicle cannot safely be repaired, then the vehicle must be dealt with a junk/scrap and taken out of use. We are delighted to publish an item by guest blogger David Vercauteren. With a background in Operations for the Marine Corps and Corporate Sales, David headed into Auto wrecking as a salesman with no experience. He says he found that his returns were way too high and couldn’t understand why. Later JC Cahill, his mentor at the time, would place David in the inventory department to learn more about the backside of the house. He noticed that salespeople, the front of the house, didn’t talk to inventory people and inventory people didn’t talk to salespeople. Why is that? With a background in international operations, sales, and business, he noticed quickly the pros and cons of the local operations for auto wrecking in the area; everything from small yards to corporate yards. David started to visit the yards to see what was working and not working. They say you can’t judge a book by its cover, but in the business of auto wrecking, that’s what it all about. From beginning to end, we in the industry are challenged to deliver salvage that you can stand by, make a profit, and develop a trust that will keep your customer’s businesses running quickly and smoothly. If you went to an ATM and you wanted a hundred bucks for the night and it only spit out one dollar at a time, you might not go back to that ATM unless you were desperate, right? We are, by nature, creatures of habit and look for the most dependable and reliable sources to make our lives easier and in most cases, more profitable. This is why developing these habits among your employees is paramount to becoming a dependable and reliable asset to another business that drives your products. In my opinion, the cycle of recycling starts with Physics. Now most of you that do business everyday in the recycle industry are probably saying in your ‘my way or the highway voice’,” what the heck is he talking about.” Well I’m going to tell you. When a buyer looks at a piece of salvage he must think about the ultimate questions. What happened and where did you come from? An answer might be, “You came from a person that was going about 30 mph and was hit on the front right side and really liked the color orange.” A person of Physics thinks in atoms and figure what was destroyed and bent. They will also know what was probably slightly bent and not worth including in their projections of profits. The sparkly orange is far from a stock color and not exactly worth what others might think the sheet metal is worth. Don’t be distracted by the spinner rims that are too cool for school. Bottom line, that sheet metal is a hard sell if you are in the business of making money. Then there is the question of; how bad do you need the high dollar items on the vehicle and will it be profitable to put in a high bid. A new 2012 Focus engine with 2k miles might not be needed for a few years, where as a 2002 Honda engine might move 3 to 4 times in one year. Do you want the engine that sits or the engine that you can sell? Think of it this way, every spot that has a location on the yard needs to be rotated as quickly as possible. Whether the parts are new or old, they need to move. There is logic to this theory and a buyer must understand this before purchasing everything under the sun. Hoarding parts is not profitable at all. So stop it, unless it’s your thing which leaves money on the table for the rest of us. Know what sells and leave the slugs to other buyers. How much, how fast! Salvage is towed to the yard and the breakdown begins. Inventory‘s position is to critique the buy, not to find profit on the vehicle. Of course there is an exception in some hard to find parts, from high end vehicles that can turn a pretty bizarre profit if you know what they are. The inventory inspection must be very accurate with damage codes, with decoding parts and tags, and also looking over the salvage for anything the buyer may have missed. This requires someone who has integrity and truth written in their soul. This is important to the Cycle of Recycling because the customer expects the truth and if they do not get the truth, they will return it. One more time, they will return it. A good inventory person will also think about the Physics of the crash to reduce the amount of damaged parts inventoried, much like the buyer thought when he did his projection of profit. In some cases, an inventory person might not know if certain parts are undamaged and have the dismantler take a look to see if there is any damage. This is not a good idea unless the part is high dollar. You can’t expect a dismantler to make choices with an inspection eye if they are tearing apart vehicle after vehicle. Just don’t include the parts in the inventory and crush it. You’ll be glad you did. Now the vehicle is off to be dismantled. Dismantling the vehicle is very important for further inspection of all engines, transmissions, transfer cases, axles, etc. Codes should be noted right then and there to avoid going back to the part to decode. This could be a super long section of recycling different metals, how to treat metals and oils, and where to put metals and fluids, but I’m not going to. What I’m going to talk about are doors, lids, hoods, and lights. These items are included in the projection of profit and should be treated with much care. If your dismantlers are lead by someone who cares about their day and cares about the Cycle of Recycle, the item should make it to the racks safely. This requires leadership. If you care about your dismantlers, they will care for the items they rack. Just the way it is. Is this impossible? Nope. It’s a matter of ergonomics. Put the racks in the right place and everything becomes easier for the puller. On a side note, any salesman will tell you they would rather have salvage that just got to the yard before dismantling rather than grabbing salvage that has been around too long. So take care of the sheet metal and profits will show. Buying sheet metal from another company is, in most cases, just too risky. Personally, I would avoid this practice unless you know for a fact that the Cycle of Recycling is alive and well at their yard. Headlights have become a personal interest of mine due to the fact they are not your everyday headlights anymore. They are expensive to replace, come with the salvage, and easy to repair if you know what you’re doing. Scan it to a location and let’s go! The Parts Puller pulls; let’s say the door, from the rack to the beater truck. This is where things can get even trickier. They are pulling more than one part most of the time. With these high dollar doors, lids, and hoods, I would recommend sending the most caring puller to make quick single rides from the rack to QC, no doubt. Why risk it? QC inspects what the damage code is and looks over the sheet metal for damage. It’s important this person understands what damage codes are, what over spray looks like, what should be included on the door, and has a goal to send the “door” out, without it ever coming back. Ever! If something isn’t right with the part, it must not go out. The salesman should be called, emailed, instant messaged, so that they can then contact customer to inform them of the discovery. The QC person must know how to reach each salesman immediately. Doesn’t take that long to do and could save tons of time and money. Just need someone who cares about the Cycle of Recycle and understands how to communicate, what the return rates are daily, and can understand how inventory sees damage codes. A good leader will put these folks together and from time to time when codes don’t seem right; help get everyone back on the same page. Next is delivery. Most doors, hoods, and lids don’t need tons of special care just strapped down properly. The ones that have been racked that we have been taking such good care of, need to have blankets and cushions, if possible, for two reasons; one, so the product isn’t damaged and doesn’t move around, and two, so that the customer sees how their eight hundred dollar doors were taken care of . If the door is treated like junk, it’ll be crushed like junk. Perception of the customer is everything. This is a great opportunity to make a customer’s day and for the delivery driver to be proud of the team they are on. A promotional item wouldn’t hurt either. In the Cycle of Recycling, a meeting once in awhile about customer service with truck drivers is also paramount to receiving return customers. Over 80% of people return to a business because of the way they were treated. Staggering isn’t it. Good way to get this message across is to be a good example. It’s the way you handle the get together with your employees. Why do baby sandwiches and sodas work? Your workers work hard and feel appreciated when someone goes the extra mile for them. Get them to tell stories and experiences. Let them know what to improve on and where the team is doing a great job. New strategies will appear and be shared. I guarantee it! At the end of the day we want good customers and to give good service to those good customers. True this cycle of recycle ended with a happy customer, but we all know that the customer in this industry is rarely completely satisfied. If the customer somehow receives a “door” that has a parking ding that was on a white door or is fresh, the delivery driver must make a quick move to contact the salesman after inspecting the “door” him/herself. Driver must have the resources to do so. This is so critical at the point of sale because the product has gone through the cycle already. Get the salesman on the phone with the customer/owner of the door and train the salesman how to make the deal stick. It must stay gone. If the salesman sold it the first time, there must be a way to sell it a second time with a discount, a deal on the next purchase, a toaster, whatever. It must stay gone. There is nothing you can do if it’s the kind of customer that orders from three yards and picks the best ones, then sends the others back; however, that customer must be tracked where management can step in. The trick with this kind of customer is to make a trip to the shop with the idea, not to win the argument, but to successfully train the customer on how to treat you. The Cycle of Recycle is important, but not always to the customer if they don’t understand the process of getting the salvage to their shop. If everyone is on the same page, amazing things can happen. As an inactive marine, former NCO of operations for heavy equipment, I can tell you that details, meetings, communication, leadership, and a steady staff are key to this process. At the Harvard business college they teach leaders to walk around and get to know how their employees think and how they operate on a daily basis because no matter what is going on in their lives, they are part of something important. The employee learns to know this to be true. Making the salesmen understand the back of the house and being able to ask questions will play a large part as well. If the salesman sells to win over the customer, rather than succeed with customers, it will be very expensive. If this should happen The Cycle of Recycle is used in vein. Sales are about truth to be successful in the auto wrecking industry. For a salesman to give the truth, he or she must have the best truth they can relay to the customer. To believe beyond a shadow of a doubt, that what they are selling them is what it will be. It will change the tone in their voice and create some serious cash flow. Salesmen love to tell the truth. The ones that lie are expensive to keep and become like a hamster on a wheel. Making money and blowing money. In conclusion I thought it might be fun to just do some math because all this Cycle of Recycle might be worth reading one more time if you like the numbers. If your returns are at 35% and you’re selling 1 million a month, that is 350k in returns which hopefully will be turned and sold again, and that is one big maybe. 350k times 12 months is 4.2 million dollars. If you have an individual that has the leadership skills to make the Cycle of Recycle happen and got the return rate down to 20%, that would be 200k times 12 months, down to 2.4 million in returns. And if you really had someone who cared about the process, the people, the salvage, training, and leadership and got it down to 10%, never mind, that’s pretty impossible, or is it? 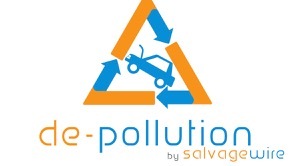 On-Line payments are now up and running for the International Round Table on Auto Recycling to be held in Liverpool, England, from June 14-16th 2012. 2 years after 100+ delegates gathered in Quebec, Liverpool is proud to host the 2012 Round Table event. 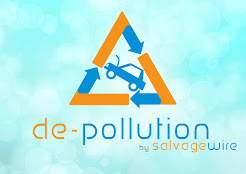 Running in conjunction with the CARS expo this is going to be one of the stand out events of the year for the global auto recycling and motor salvage industries. Delegates and exhibitors from around the world will come together for seminars, training, networking and social events in one of the most historic cities in England. Home to The Beatles, two of the UK's biggest Football teams, and two cathedrals Liverpool offers something for everyone. Full details are available at http://irt-autorecycling.org/ including registration and booking details, hotels and more, look forward to seeing you all in Liverpool in June.